federal: having to do with the central, national government.federal election with some exceptions. Women's suffrage: a vote; the right to vote.suffrage groups had existed since the 1870s, but during the war it was hard to ignore their arguments. Women were serving in the war, taking over from the men in factories and offices, holding families together while the men were overseas, and working in voluntary organizations that supported the war effort. They couldn't be kept out of political life any longer. Women got the federal vote in three stages: the Military Voters Act of 1917 allowed nurses and women in the armed services to vote; the Wartime Election Act extended the vote to women who had husbands, sons or fathers serving overseas; and all women over 21 were allowed to vote as of January 1, 1919. Provincially, women were given the vote in 1916 in the four western provinces, in 1917 in Ontario, in 1918 in Nova Scotia, in 1919 in New Brunswick, in 1922 in Prince Edward Island, and in 1940 in Quebec. Early feminists in Canada included women like Emily Stowe, who supported her children and sick husband by working, illegally, as a doctor in Ontario. She'd had to go to New York to obtain her degree since Canadian women weren't allowed in medical school or any other higher educational institution at that time. She graduated in 1868. In 1876 she started the Toronto Women's Literacy Club which was actually a women's suffrage group. unpasteurized: not pasteurized, a process of heating milk hot enough and long enough to kill harmful bacteria. (Named after French chemist Louis Pasteur. )unpasteurized milk and Hoodless began campaigning for better health and nutrition education for women. In 1897 she founded the first Women's Institute to instruct women in farm and household management. She was also the founder of the Victorian Order of Nurses which provided nursing to the poor. In Quebec Marie Lacoste Gérin-Lajoie was one of the women who founded the Fédération nationale Saint-Jean-Baptiste in 1907. This organization campaigned successfully to improve working conditions for women, bring in pasteurized milk to reduce infant mortality, and increase women teachers' pensions. However, she found little support in Quebec for women's suffrage. 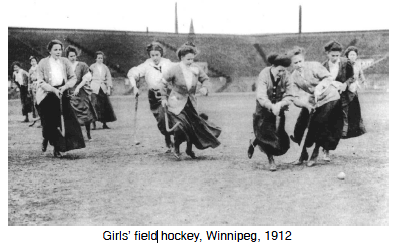 The first province to give women the vote was Manitoba. This was where Nellie McClung had rented the Walker Theatre in Winnipeg in 1914 and staged a mock parliament, casting herself as premier and putting men in the role of having to beg her for the vote. The event was a great success, both financially and politically. 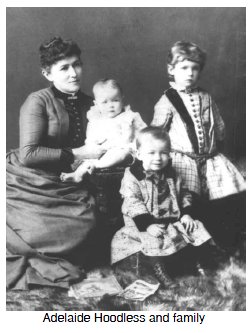 McClung was also one of the five women who campaigned to have women recognized as "persons" by the Supreme Court so that they could qualify to sit on the Senate. They were finally successful with their "Persons Case" in 1929. The women's suffrage movement was often linked with temperance: moderation, in this case with alcohol. The principle and practice of not using alcoholic drinks at all.temperance societies which were demanding the prohibition of alcohol. Women argued that excessive drinking by men ruined family life and led to much domestic violence. But alcohol wouldn't likely be abolished, they said, until women got the vote.